The unusual attitudes that show up in test questions are generally climbing or descending turns. 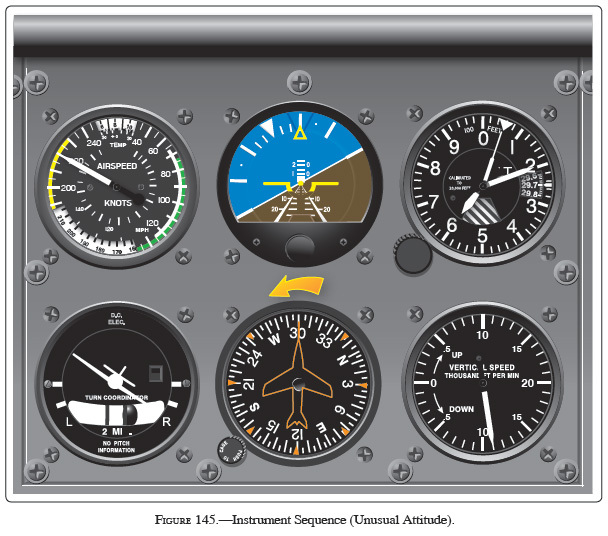 Questions will be accompanied by an instrument panel depiction similar to the one shown below. Your first step should be to reference the attitude indicator. It is the primary pitch instrument when determining attitude. The next issue involves the lift vector. If the nose is low, level the wings. This increases the vertical component of lift all by itself. Then, gently pitch up to level flight. If the nose is high, pitch down (forward elevator) first, then level the wings last. The magnetic compass is the most fundamental navigational instrument in existence. Because it floats in a fluid, it is prone to certain errors caused by motion of the aircraft. These are called magnetic dip errors because the compass physically dips out of its displayed plane of rotation (relative to the aircraft). 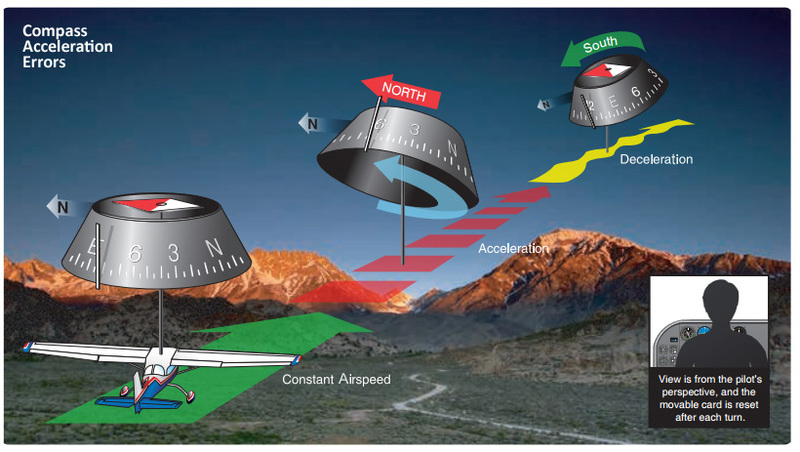 This occurs during aircraft turns and changes in airspeed. These are referred to as turning errors and acceleration errors. 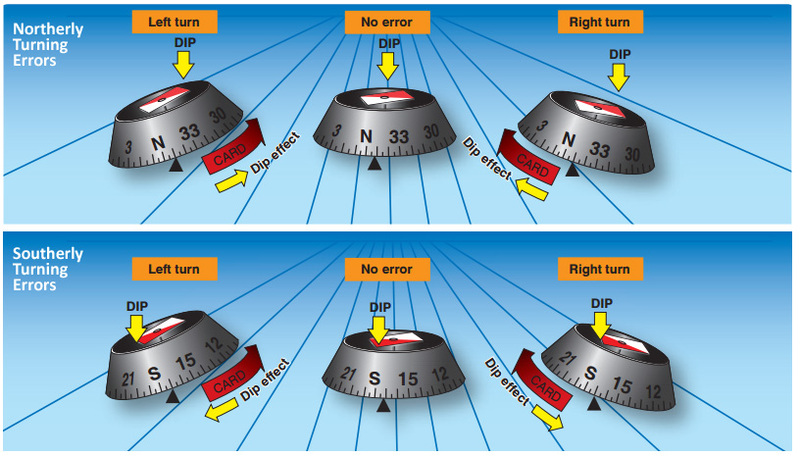 Turning errors are most pronounced when turning through northerly or southerly headings. Acceleration errors are most pronounced when accelerating or decelerating on easterly or westerly headings. Prior to takeoff pilots should check their compass operation. Confirm that the compass is full of fluid, that it swings freely, and that it agrees with known headings.